"Please do not put me out of business before I have even started"
Earlier today, we reported comments from local Police, School Head teacher Alice Hudson and Ed Balls, Secretary of State for Children, Schools and Families who made their views clear about a fast food franchise which is set to open next to Twyford CE High School. Mandeep Bassi, who is the franchisee, has contacted us to put his side of the story: '' I would like to firstly clarify that no laws have been broken and that when I applied for change of usage from A1 to A5(Fast Food Takeaway) this was granted by Ealing Council. The council knew from offset what my intentions were. "The planning application for a fast food franchise was granted in May 2008 before any laws regarding take away outlets near schools was introduced. "Furthermore, for the last 16/18 months there has been a huge banner on the building clearly highlighting that a fast food outlet was opening. If there were any concerns from the school, parents or local residents why this not raised then, why is all this coming out only now when I have spent so much time and money on the shop and have been paying business rates and rent since February 2008? 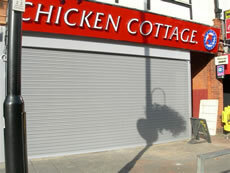 "There are a number of fast food outlets near schools and local areas where children pass daily. Has anyone recently visited Sam’s or McDonalds at 3pm in Acton high street or Lazy Fish Bar or Domino’s pizza opposite the school? Full of school children. Tesco Metro is also nearby and I really do not think these children are queuing for salads or fruits. So whether it is next door or 2 miles down the road children will find a way of eating fast food. "I strongly believe that the blame should not lie with me as I am an honest person who is simply looking to earn a crust in the current climate. Please do not try and kill me or put me out of business before I have even started. "I too was once a pupil of Twyford. My parents trusted me and gave me money to use wisely. I at times ate fast foods and at times I spent my money on other treats. Children these days are smart and know what they want. Ultimately it is their decision what they eat. Miss Hudson or Mr Balls have their views/opinions and I respect that. Any issues they have should lie with Ealing Council or maybe they should carry on and continue their fine work within the school parameters. "School children are not permitted to leave school premises during school. After school hours no teacher or school can control pupils or their whereabouts. I recall many years ago that when school finished, pupils would take a bus up to Ealing Broadway and head for take away outlets there. 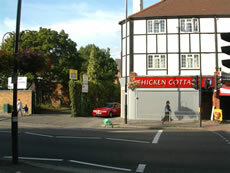 "I really do not think that one more fast food outlet will damage Twyford's good work. I have heard and read that Twyford has recently made changes to the school canteen and from what I recall as a pupil this was a much need exercise.